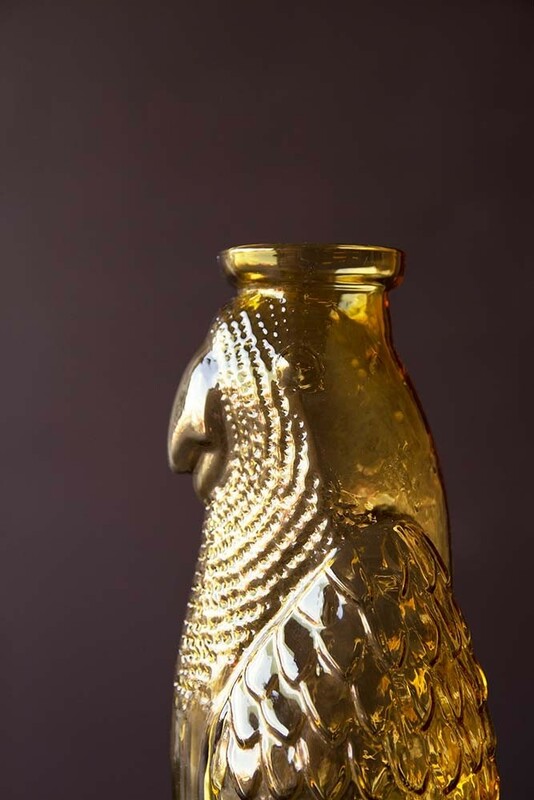 Why have a boring water carafe when you can have something fun and original like this Amber Glass Cockatoo Carafe?! A statement drinks container the Amber Glass Cockatoo Carafe is the perfect dining table or bedside table water jug. 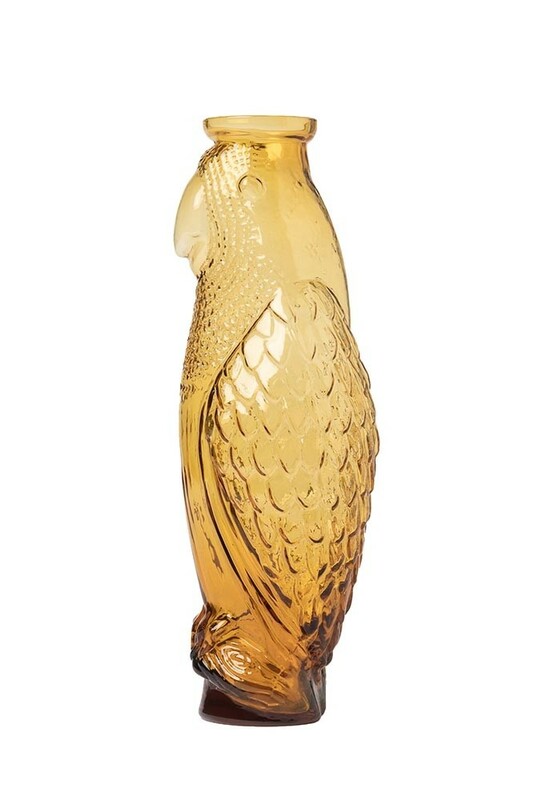 The Amber Glass Cockatoo Carafe is made from glass and measures 32cm in height. Its our philosophy at Rockett St George that even household essentials should be beautiful. We think that by surrounding yourself with the things you love has a profound effect on your overall wellbeing, so it’s worth taking the time to source pieces that you love. Really lovely, this bird shaped jug is the perfect combination of beauty and function, which is exactly why we think you’ll love it! We also think that anyone who loves animal motifs and ornaments in their interior design will love this Cockatoo Water Jug! Not just a simple water jug there are so many different ways to use your Amber Glass Cockatoo Carafe. Fill it with ice and maybe slices of lemon and lime and keep it on the garden table as an easy refreshment when dining alfresco in the summer. Alternatively, stack glasses next to the carafe in the centre of your dining table and serve water or wine from it when entertaining. Other uses could include using the Amber Glass Cockatoo Jug as a vase for your long stem flowers or greenery. The Bird Vase would look great on display on your side tables, bedside tables and coffee tables in your living room, hallways and bedrooms. The carafe could even just act as a quirky display piece on your kitchen shelves, coffee tables and side boards too! 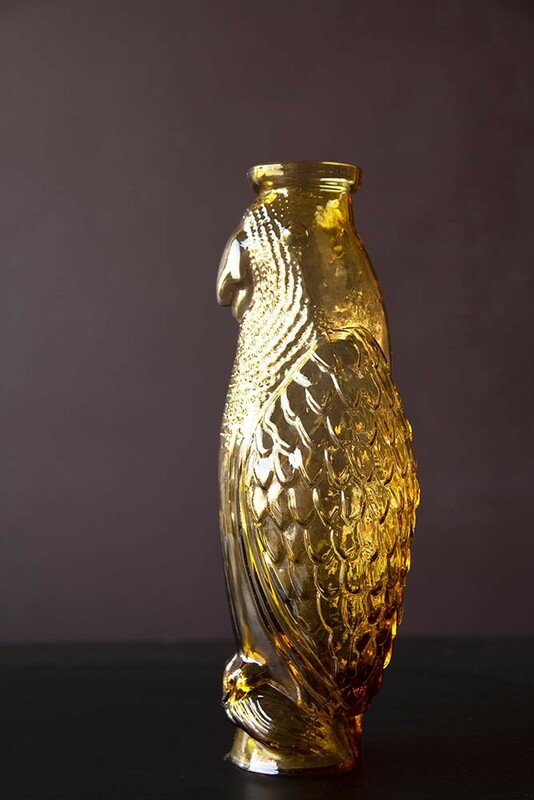 A lovely piece, there are so many uses for the wonderful Amber Glass Cockatoo Carafe.